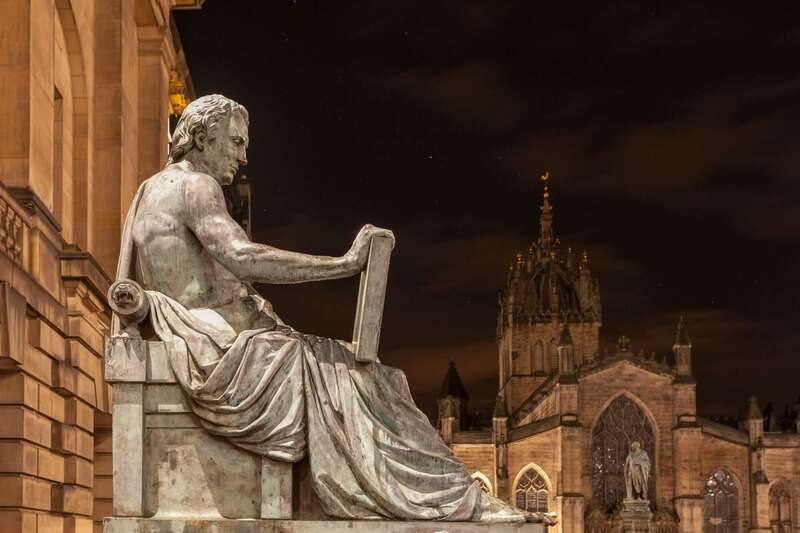 Halloween is approaching as fast as people from Edinburgh died during the dark time when The Black Death (also known as The Plague) spread across the city and killed thousands of its inhabitants, and so we would like to share with you some of the most haunted places in Edinburgh. 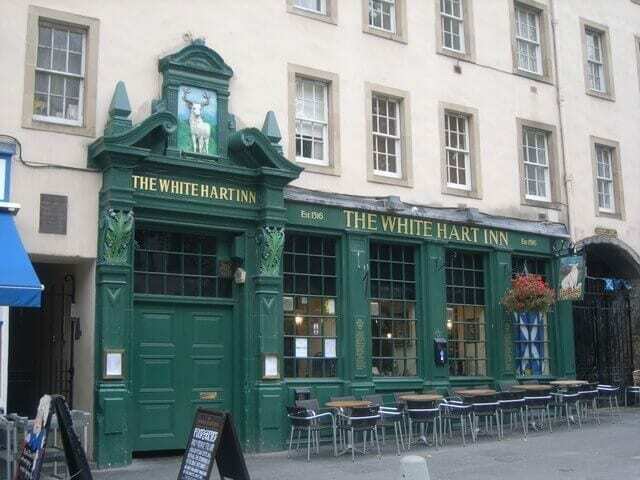 This old Grassmarket Inn is reputed to be the most haunted pub, not just in Edinburgh but in the whole of Scotland. Public executions used to take place nearby. Sightings of a shadow going to the cellar have been reported and a door down there has been seen to slam shut on occasions. Barrels have been moved and beer taps closed off and when the staff opens them to pour a pint, they find they are switched off again. These incidents and many more have been reported by staff and owners over many, many years. Underneath South Bridge are many vaults and passageways. The bridge was built over Niddry Wynd and its cobbled street still lies under the bridge. In the past, people lived in the vaults and there were even shops underground. You can visit the vaults on a tour and over the years many ghost stories have surfaced. One of the most interesting stories happened early in 2003 when a radio producer was interviewing former rugby star, Norrie Rowan, who owns part of the underground city. On playing the interview back there was a ghostly voice shouting Go Away in Gaelic but no one else had been there at the time. A number of ghost tours take place in the city’s underground vaults and there have been a various reports of paranormal activity. 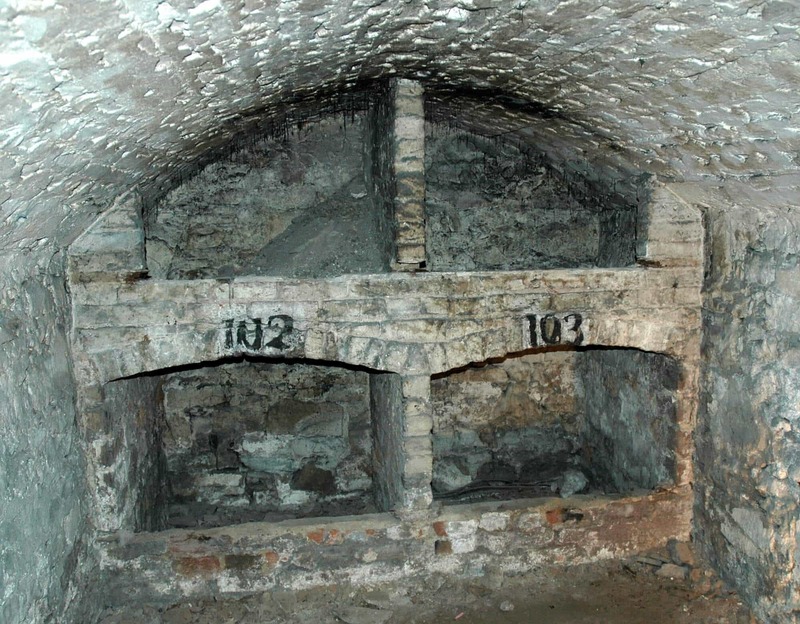 The TV show, Most Haunted, hosted a live investigation in the vaults in 2006 and, according to some reports, Burke and Hare stored the bodies of their victims in the site before selling them to the medical school. Partially located within some of the city’s many underground vaults, the Banshee Labyrinth describes itself as Scotland’s most haunted pub. 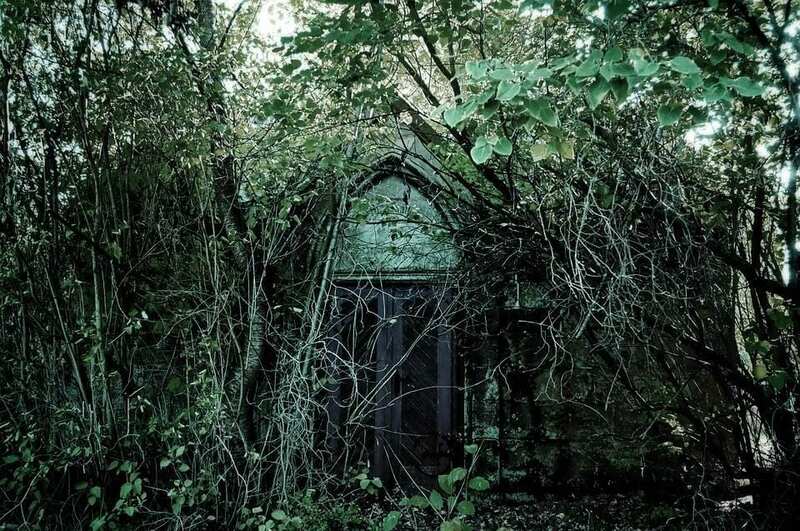 It is reportedly occupied by a banshee – a group of workmen once heard a bloodcurdling scream and a few hours later one of them received a call about the death of a family member. There are also said to be occurrences of drinks flying off tables and smashing into walls. 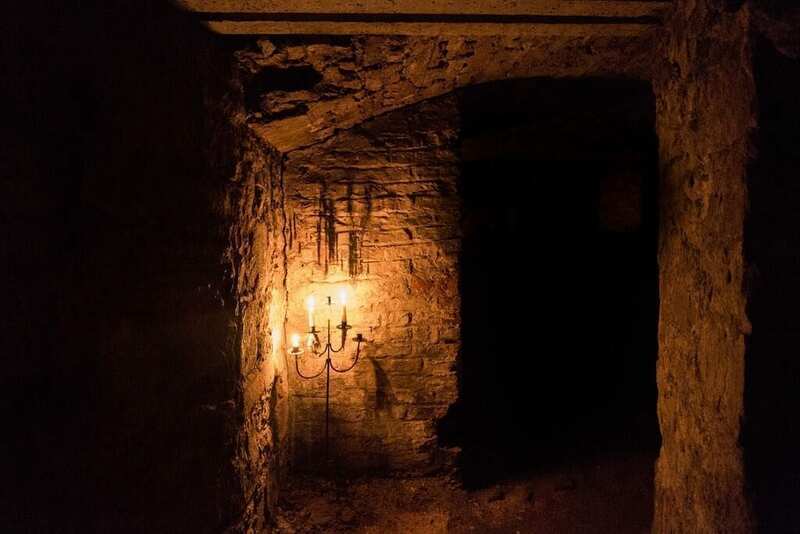 Edinburgh has a hidden underworld to which the castle is strongly connected, a series of secret tunnels leading from Edinburgh castle down the Royal Mile. One of these is rumoured to lead to Holyrood House. Holyrood house itself is closely associated with Scotland’s turbulent past, including Mary, Queen of Scots, who lived here between 1561 and 1567. Successive kings and queens have made the Palace of Holyrood house the premier royal residence in Scotland; even today it’s still a royal residence. When the tunnels were first discovered several hundred years ago, a piper was sent to explore. As he navigated the tunnels he played his bagpipes so that his progress could be tracked by those above. About halfway down the Royal Mile the piping suddenly stopped. When a rescue party was sent, there was no trace of the piper. He had simply vanished. Several search parties went into the tunnel system but no trace of the piper was ever found. The piper’s ghost still haunts Edinburgh today, walking endlessly along the underground tunnel beneath the Royal Mile. His music can sometimes be heard from within the castle and on the streets above the tunnels. It has a history dating back more than 2,000 years and has been the site of numerous battles and sieges so it’s no wonder there are reports of ghostly goings-on at the city’s most iconic landmark. The sound of drums, unexplained knocking sounds, and mysterious orbs have all been reported. 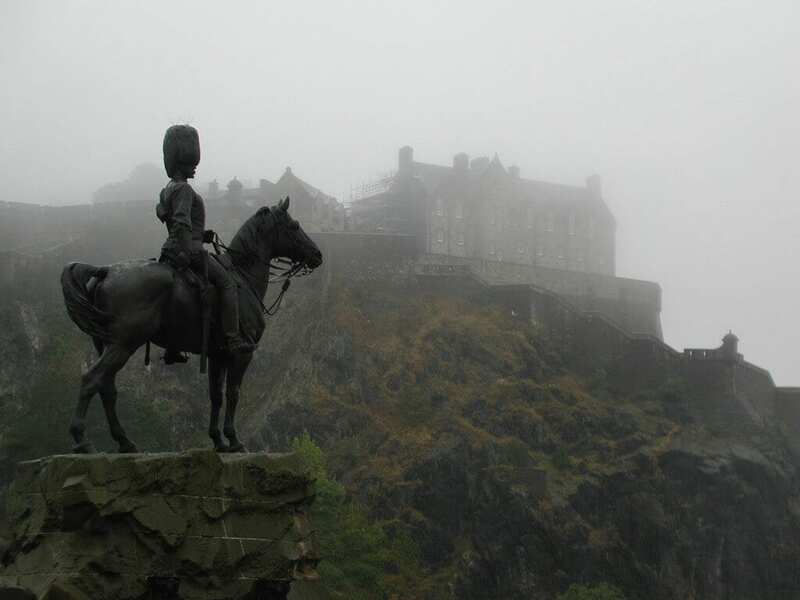 In 2001, a team of scientists carried out an investigation into the paranormal experiences at the castle as part of the Edinburgh International Science Festival and said the results appeared to support the stories. 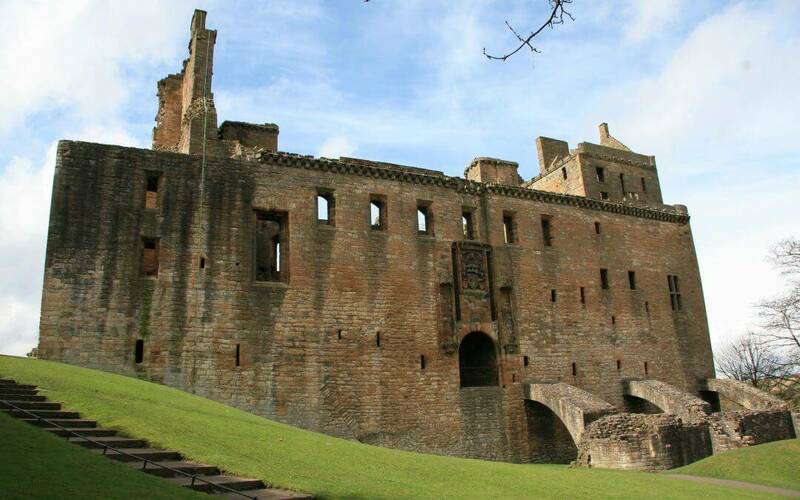 The main reason people come to Linlithgow is to see the striking ruins of its royal residence. 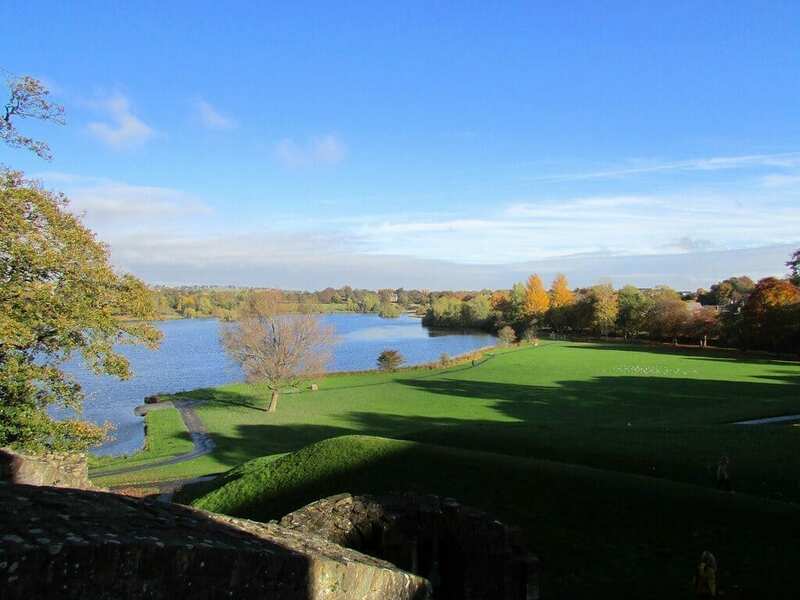 The birthplace of both James V and his daughter Mary, Queen of Scots, Linlithgow Palace echoes with the history of the Stewart dynasty that ruled Scotland from 1371. It sits on the shore of the town’s small loch, right next to St Michael’s Church with its distinctive modern steeple. There has been some form of royal palace here since the 12th century although the current structure developed in the 15th and 16th centuries. Its heyday as a favourite residence for the Stewart came to an end when James VI became King of Great Britain in1603 and skedaddled off to London with his court. The building fell into disrepair over the next hundred years or so, and a fire finally put the old place out of its misery in 1746. 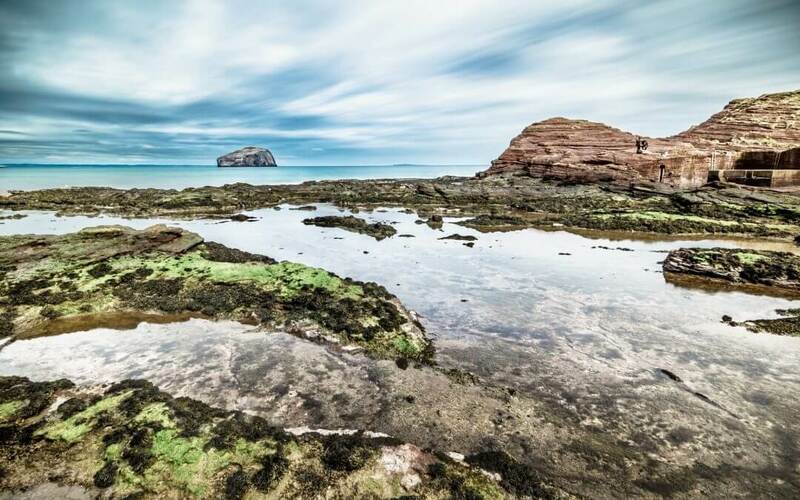 Atmospheric and resonant, it’s now cared for by Historic Scotland and, if you catch it on a fine day, its red sandstone comes alive in the sunlight. The High Street is where to find places to eat and drink, or you can head away from the town to sit by the Union Canal. If you feel like a saunter along the towpath, ScotRail trains from Edinburgh Waverley or Haymarket to Linlithgow take around 20 minutes. 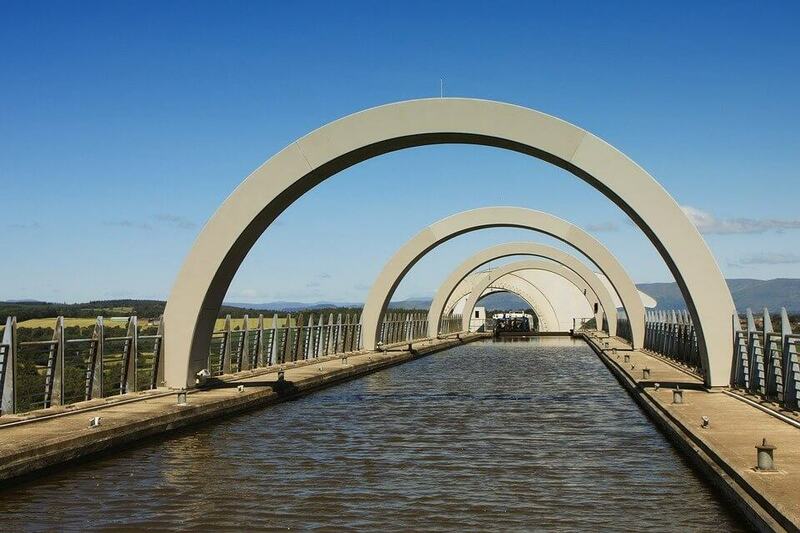 The Falkirk Wheel is a huge, rotating boat lift, operational since 2002. It forms a crucial part of the Millennium Link project that reconnected Edinburgh and Glasgow by canal, a means of transformation that had been allowed to slowly decay since the 1930s. 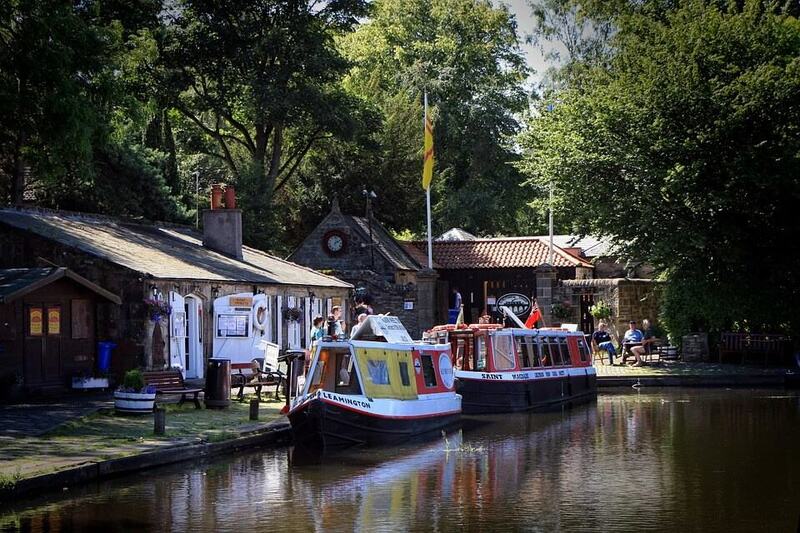 The Union Canal runs from Scotland’s capital to the Wheel where it meets up with the Forth & Clyde Canal, continuing through to the country’s biggest city. Boats simple sail into the impressive apparatus and are lifted, or lowered, 24 metres from one canal to the other – although there are some locks involved too. It’s a remarkable piece of contemporary engineering and an attraction in its own right with a visitor centre, café and boat trips that lets you fly gently through the air while afloat. 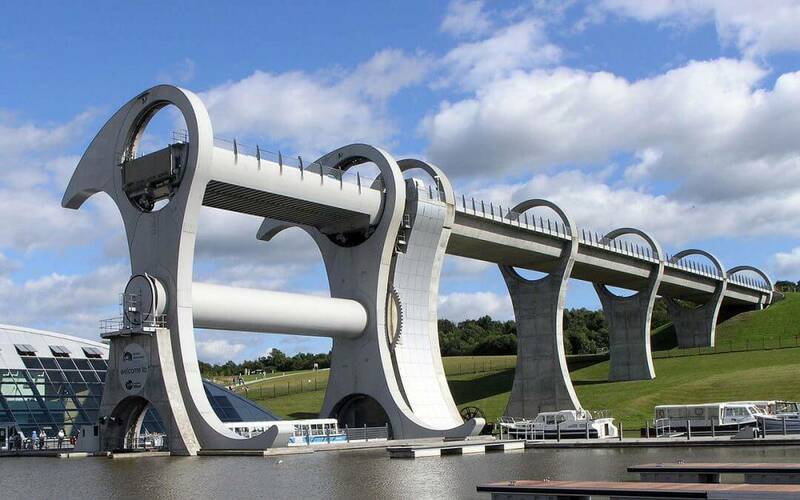 The Wheel is just to the west of Falkirk but if you get the ScotRail train from Edinburgh Waverley or Haymarket to Falkirk High (25 minutes), you can walk there along the Union Canal towpath that passes immediately south of the station. Station platform to Wheel is 3.5km. 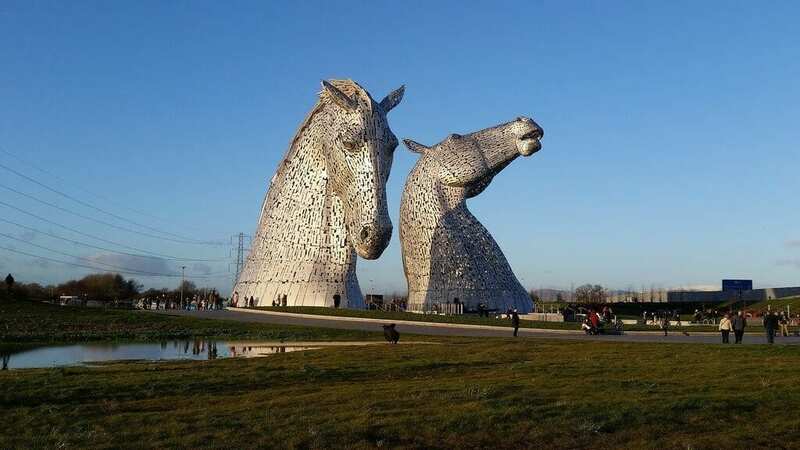 A stone’s throw from the Falkirk Wheel is Helix Park, home to the Kelpies: two monumental sculptures depicting the heads of mythical water horses, each nearly 30 metres high, built of steel. They are enormous, glittering, utterly magnificent and new – only open to the public since spring 2014. What to look out for in September! 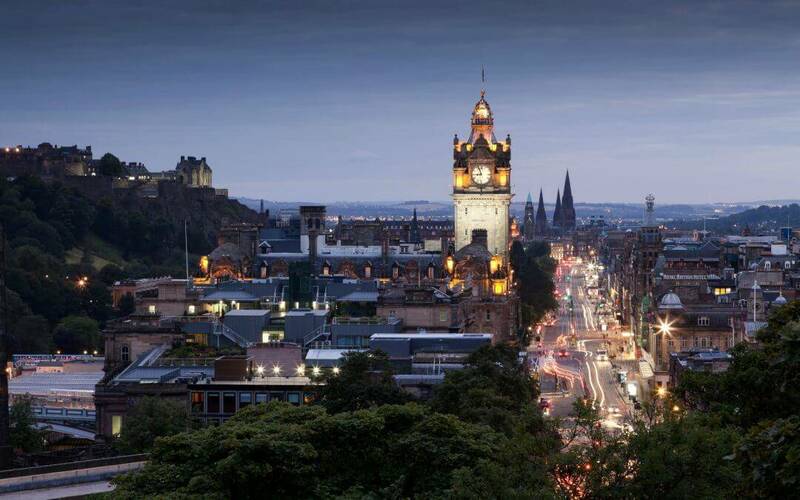 The Edinburgh Festival Fringe can dominate some people’s thoughts about Scotland’s capital city, and not without reason – it is the world’s largest arts festival, after all. However, that’s not to say Edinburgh isn’t bursting with great things to do throughout the rest of the year too. From dazzling musical shows and breath-taking festivals to fascinating exhibitions and bustling markets… here are some suggestions for September. Sunny Afternoon is an irresistible musical with slick theatricality and ingenious storytelling at its heart. It tells the captivating tale of how one of Britain’s greatest bands, The Kinks, rose to stardom. 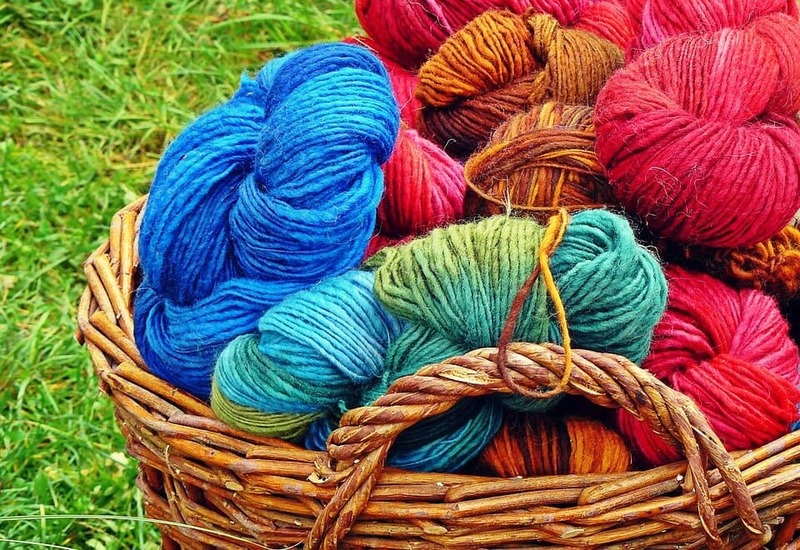 Wool Against Weapons – 100 years of women campaigning for peace. Presented by the Women’s International League for Peace and Freedom, Scottish Branch. This is an exhibition highlighting the work of women campaigning for peace, starting with those who tried to bring harmony in WW1 – including Edinburgh’s Chrystal Macmillan – and ending with samples of the Scottish section of 2014’s Wool Against Weapons 7 miles peace scarf. 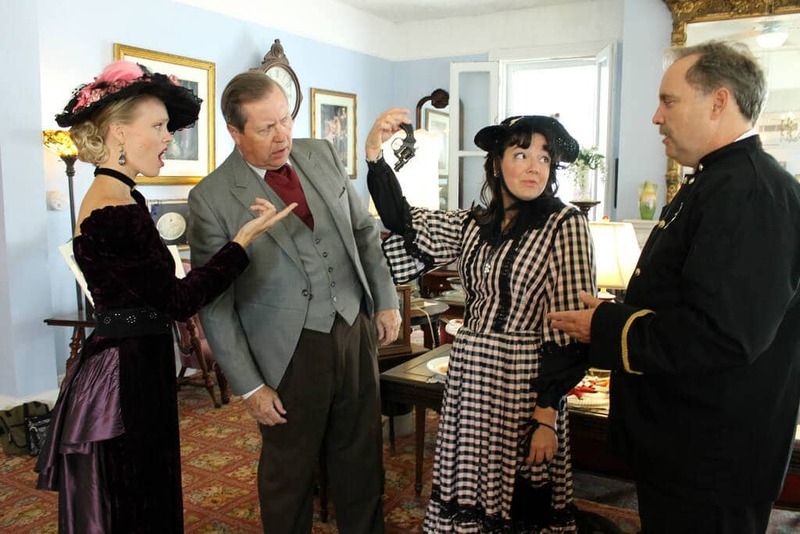 Murder Mystery – What the Dickens! Join the cast in the year 1858 at the house of Charles Dickens, Gad’s Hill, in Kent. This is after all a Murder Mystery! It is for you and your teams to work out who killed the victim, why did they do it, and how? You will be given help by the local police who will conduct a full investigation! Price: £42.50 per person. Includes 3 course dinner, arrival drink and entertainment. William Gillies & John Maxwell traces the careers of these two artists, exploring the parallel development of their work and their enduring friendship. 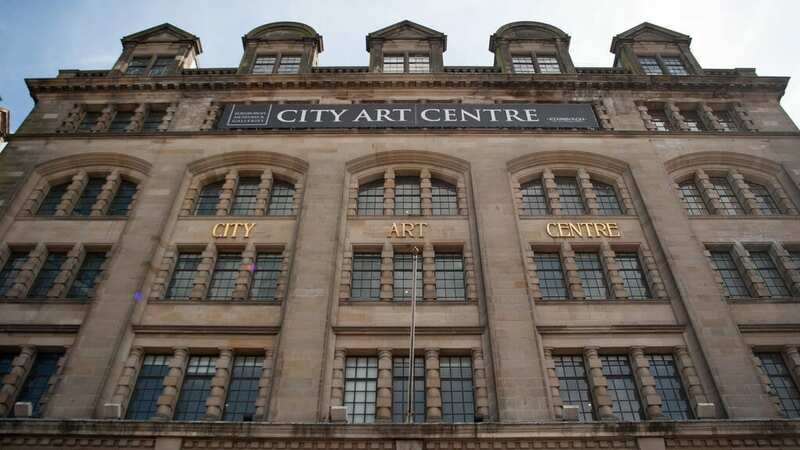 It showcases some of their finest drawings and paintings, including the Fletcher Collection, a group of 43 artworks that has been on long-term loan to the City Art Centre since 1995. This is the first time in over twenty years that the Collection has been displayed together in its entirety. Taste 13 fine white and red wines from two classic wine regions in France: Burgundy and its neighbour Jura. Sample Pouilly Fuisse, Rully, Meursault and Beaune from Burgundy and Cremant du Jura, Chardonnay, Poulsard and Vin de Paille from Jura. 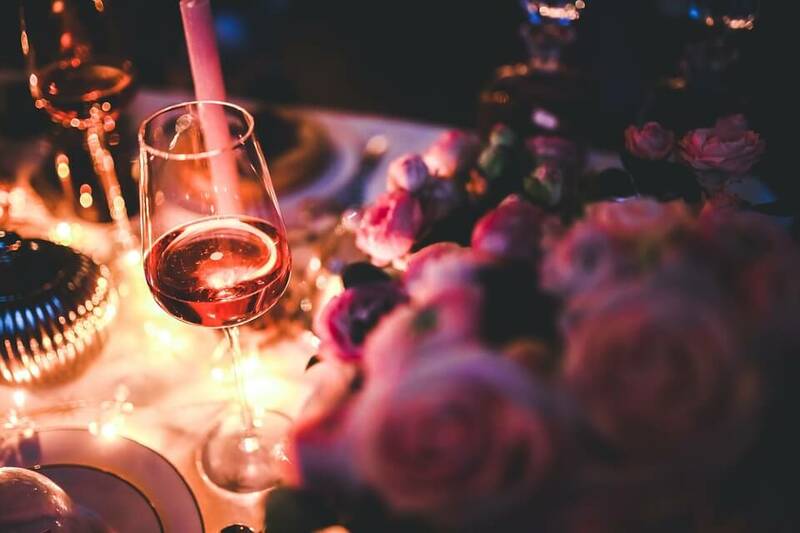 The tasting is hosted by Master of Wine & The Scotsman wine columnist Rose Murray Brown. 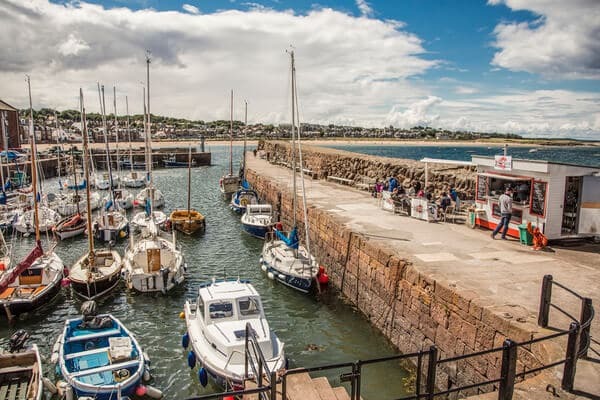 A small and attractive seaside town, North Berwick has beaches stretching east and west of its harbour, a decent selection of bars, cafés and restaurants, small islands immediately offshore and the imposing presence of the Bass Rock, with its gannet colony, around 5km out into the Forth. Standing sentinel over it all is the 187 metre bulk of North Berwick Law directly behind the town, an ancient volcanic plug which affords brilliant views if you make the effort to reach the top. You also find the Scottish Seabird Centre here. It also worth a visit while there are seasonal boat trips to enjoy, some going all way to the isle of May – the last stop before Scandinavia. Put all that together and you have an attractive package for a day trip; trains take less than 35 minutes from Edinburgh Waverley. 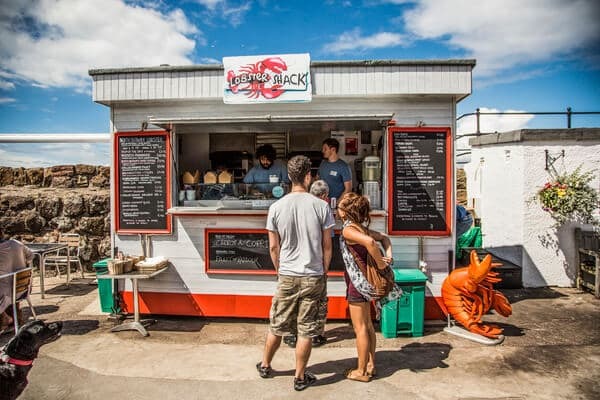 Meanwhile one thing that fans of fresh of seafood shouldn’t miss is the Lobster Shack at the harbour. A glorified garden shed with catering facilities and some al fresco seating adjacent, it opens weekends only in May then daily June to September, noon-8pm, weather permitting. Fresh crab, fish and lobster are no the menu, with chips.